To understand why my cat is my hero, first you have to understand my cat. I love my cat. Lets call him M for now. All of the cats in my life have had names that start with M. I only have one right now because of a number of things, including my current living situation (small apartment, low income), but also because when I adopted him from the shelter when he was 5, they said he was a loner, a cat who didn’t like being with other cats or dogs (and although one day I will have lots of cats, I am definitely NOT a dog person). I waited for years to be in a place in my life where I could adopt a cat, and I did, at first opportunity. I need cats in my life. M has been with me for almost 4 months. I fell in love with him from the start. We met online, of sorts, while I was looking at petfinder.com. I visited the shelter for weeks before I adopted him, looking at all of the cats in their little rooms, but I fell in love with him. I wanted to adopt a cat who was older than kitten age, but not yet geriatric – I didn’t want my cat to be reaching the end of his/her lifespan while I was writing my thesis, and while I know there are no guarantees, its certainly less likely if I get a younger cat. He was always sitting in the same place, a small enclosed little dollhouse room, protected from all sides except the front, just watching. He saw everything that happened, and noticed even the quietest noises. I would sit outside his door and just watch him for 20 or 30 minutes. And he watched me back. Even before I met him in his room, before I had the chance to be let through that door, I knew he was destined to be my kitty. And he knew it too. The very first time I got up the courage to ask to meet him, the adoption staff warned me that he wasn’t very friendly, that he was shy and scared of everything, and wouldn’t I like to meet some of the others? But I said “I’ve had cats before, and he looks like a very sweet one. I would like to meet him.” (Points for being assertive and standing up for myself!) And so they brought me into the room. The adoption counselor sat down on a chair and started reading me his medical history (there was a lot of it), while I sat down on the floor not-too-close, but just an arms reach away from M. And within 2 minutes, he was nuzzling my hand and purring. The adoption counselor’s mouth was agape, and he told me he’d never heard M purr before. Another 5 minutes, and M was out of his dollhouse and stalking around me, sniffing. Then 5 more minutes and he was rubbing and begging to be petted. I was his human, and he was my cat. Everyone knew it. I couldn’t take him home right away – I had started actively looking for a cat about 2 weeks before I could have one at home, but the shelter staff was very patient with me. I worked a block away, and came to visit him almost every day. The staff came to know me, and would let me sit in his room unsupervised, and although M still startled at everyone else, and ran to hide every time one of them came to talk to me, we became friends. When I took him home, a staff person who I had not encountered saw me taking him, and asked if I was the girl who had come to see him all the time. When I answered affirmatively, her response was “oh thank god”. There was a cheer from the other staff that “M was going home today!” and I was the lucky human to be bringing him home. Now to say that M is a shy cat is a rather ridiculous understatement. M and I are very alike. We crave small spaces where we can curl up. We startle and want to hide at every unfamiliar or sudden or loud sound. We are wary of big (tall) things. It takes us a long time to come out of our shells and interact with people. But we will protect each other and always are looking for cuddles. When M first came home, the shelter told me not to expect to see him for 3 weeks. 36 hours later and he had already come out of his hiding place to be petted by me. He would explore his new surroundings, but only when I was in sight. But he’s settled down. Now he sleeps out in the open, in his cuddly cat beds during the day. He spends all night on my bed, first tucking me in, and then curling up next to me. I’m sure he leaves during the night, but he’s always back in the morning to greet me. He only hides under the couch sometimes. He’s slowly getting used to my roommate and the friends who spend time at our apartment. And he has started to play, chasing strings, balls, and the little catnip sack I got him. He has never EVER lashed out violently. Never bitten or clawed, no matter how scared he was. He has cowered in my arms, terrified, and he has hidden in all number of small places, but he has never been violent. But even so, when new people and/or especially loud noises happen, he still runs for the safety of the couch, even when its people he knows, like my roommate. That book, All Cats Have Asperger’s Syndrome by Kathy Hoopmann couldn’t be more appropriate, and I have a cat who exemplifies it to an extreme. So why do I say my cat is my hero? Well a number of reasons. But specifically this evening, my roommate brought a dog home. Not a very big dog, and not for very long (she and the dog are spending the night at a friend’s house – she is dog-sitting). My cat was sitting in his bed, and when the door opened, he looked up and stared as my roommate and the dog came in. The dog yipped (as little dogs do), and my cat startled. But then he paused, and calmed down, and watched the dog from his bed. He didn’t run and hide when the strange new animal appeared, or when my roommate (who was being rather loud) opened the door. And the whole time the dog was in the apartment (mostly in my roommate’s bedroom), he stayed in his bed in the living room, despite the barking, instead of running for the cover of the couch. And for that little tiny reaction (or lack of reaction), tonight, my cat is my hero. Again, really good writing. I’m enjoying reading your blog. Please don’t stop writing. Although I am a ‘dog person’ (with 2 big puppies, both rescues) i find your story and friendship with your cat touching… Your patience, observations and intuitive connection. Cats and dogs are orientated differently, most cats being solitaires and most dogs been team minded and socially depending, but there is something universally calming and healing about a friendship with an animal whether a cat, dog, horse, parrot or rat. Thanks 🙂 I’m definitely *not* a dog person… see “words”, but I definitely admire those who are. Sometimes I feel puzzled that it is even legal to have dogs in cities… walking on footpaths, parks, everywhere there are people 🙂 given that they are actually potentially dangerous animals with big teeth and although most are well adjusted to the human world, they are still basically wolves and somewhat unpredictable. Even without aggression, I can understand why some people really can’t stand dogs if they are not into them. E.g. my dogs are very friendly, but also pushy. They’ll lick peoples’ hands and face if they can get away with it, lean on them, sit on their feet, steal things to play with… Very approaching, ‘hands on’ kind of animals. 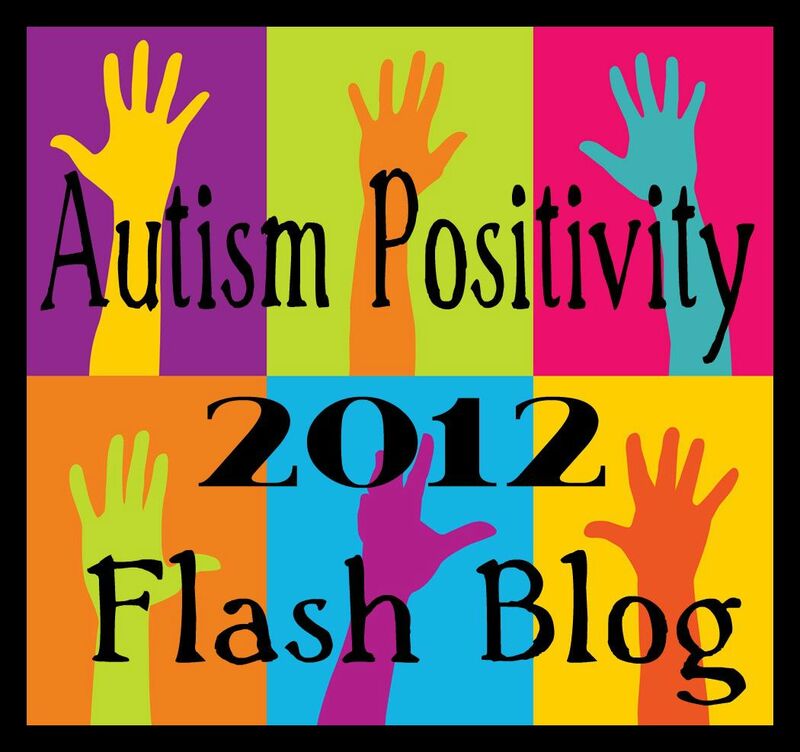 I just found your blog via Clarissa’s blog. I enjoyed this story very much. It was very perceptive, and your writing is lovely. Thanks for reading it. 🙂 Glad you liked it. So sweet ! I am also a cat lover, and always have to have a kitty in my life ( I have three right now ). My 9 years old son who is autistic also has a real love, and mutual understanding with cats. I love cats! I found mine online as well. The second I saw him I loved him, but I really loved the name that they had for him Nathaniel Pawthorne. When I saw that I had to go meet him. He has been the perfect cat for our family. He has been one of the best therapies for all of us. Just loved this. We love our kitty (okay he’s not a “kitty” anymore) Merlin. He’s such a character, hilarious with a great personality! We keep hoping our autistic daughter, Emma will come to appreciate his unique adorableness in the same way we do, but so far she remains unconvinced, though she does occasionally pet him. I have four cats! I’ve had cats since I was 5 years old. I too dislike dogs immensely. I have two boys on the spectrum. One has Aspergers and the other PDD NOS. My Aspie also adores the cats and has little tolerance for dogs! Interesting! The second I got after Brightspot’s niece / great-niece (who was originally my younger siblings’ cat, but became mine when I moved into my first apartment, because she and Brightspot were so close) died (again, after a long life) of cancer. Imber has been an inspiration to me from the very beginning, because she is physically disabled; she is missing her right hind foot (up to what we tend to think of as the knee, but is actually the ankle). She doesn’t let it stop her, though. She’s a lot like you’ve described M as, since I brought her home. She didn’t get along with Aspen (whom I got after Brightspot died, because Mitzi – Brightspot’s niece – needed a companion), which I thought was a pity, because Aspen needed someone to mother. But Imber is a one-person, nobody else (feline, human, or canine) need apply. She also has anxiety issues, for which I’ve started giving her medication (which she hates with a passion…). And I love the _All Cats Have Asperger Syndrome_ book. I’ve shown it to many people, and those who didn’t have it promptly went out and bought it!